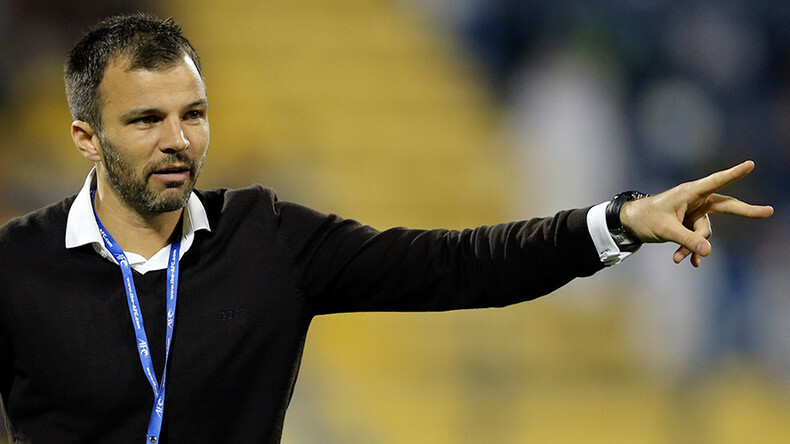 Come the evening of Saturday, June 17, Anthony Hudson could be a very unpopular man in Russia. That’s if the New Zealand head coach manages to inspire his team to victory over the FIFA 2017 Confederations Cup hosts in their opening game clash in St. Petersburg. Since taking the reins of the ‘All Whites’ in 2014 aged just 33, Hudson has set about galvanizing the team, bringing in new faces, new ideas and a whole new playing style. Englishman Hudson, now 36, is still one of the youngest coaches in international football, but is already making up for what he lacks in years with a determination to turn New Zealand into a force in international football. Ahead of the Confed Cup clash with Russia at St. Petersburg Stadium on June 17, Hudson told RT Sport of the “massive honor” for the All Whites to open the tournament, and his confidence in his team to achieve special things in Russia. “Opening the tournament is a massive honor and one that we are not taking lightly,” Hudson said in comments emailed to RT Sport. As well as hosts Russia, Hudson’s New Zealand will also face Portugal and Mexico in Group A – all teams ranked higher than themselves, and with varying playing styles. So how is Hudson planning to approach their Group A opponents? “They are all world-class teams and we know that we are playing some great sides. We have a huge amount of respect for the teams and the players we are playing,” Hudson said. Hudson feels the Confederations Cup will be the perfect stage for his young side to gain valuable big-game experience as they target World Cup qualification and a return to Russia in 2018. “We have a young side, but we also have good experience in the likes of Tommy Smith, Chris Wood, Glen Moss, Andrew Durante, Shane Smeltz and Mikey McGlinchey. Hudson has previously spoken of how he’s picked the brains of some of the world’s modern coaching greats – including serial winner Jose Mourinho, former Argentina and Chile national team coach Marcelo Bielsa, and current Juventus boss Massimiliano Allegri – in his quest to gain some of the keys to success for his New Zealand team. He also has, of course, New Zealand’s most famous sporting icons, the 'All Blacks' rugby team, to draw inspiration from. Hudson has praised the All Blacks for their humility and commitment, and believes the football team will bring similar qualities to the games in Russia. “You can expect a hard working team that will fight for everything. You can expect a team that has some very good international footballers. You can expect a team that is capable of beating some of the best teams in the world, and that is going to this tournament to make New Zealand proud,” he said. Hudson also cleared up a question that intrigues many fans: why does the football team not play in an all-black kit, like the nation’s rugby icons? “The football team plays in an all-white strip rather than the traditional New Zealand sporting black due to a former FIFA regulation that reserved black for the international referee strip,” he said. Attention to detail is a hallmark of Hudson's methodical approach to coaching. It also makes his New Zealand side more than capable of causing a shock at the Confederations Cup – and even appearing in Russia again next summer at the World Cup. The hosts just might have to put the champagne on ice for that opening game.